A fully accredited and internationally accepted 125 hours onsite English teacher training program. Every course includes internationally accepted certificates, lowest prices and guaranteed job assistance. You can spend more, but why spend more for less? Don't get lost in the crowd! Our classes are kept small to make sure you have all the attention you need to be successful. Our teachers will work with you and provide all the guidance you need to make sure you have the knowledge and confidence to excel as an English teacher. Training focuses on developing practical teaching skills while also extensively reviewing language structure and terminology. It is assumed trainees have little, if any, previous EFL teaching experience and grammar terminology knowledge before training starts. Those with previous experience will benefit from revisiting the fundamentals. Read what our graduates have to say about our very personalized approach to teacher training. Our teachers will work with you and provide all the guidance you need to make sure you have the knowledge and confidence to excel as an English teacher. TEFL South Korea is in its 13th year of TEFL Training and has hundreds of successful graduates who teach English as a Foreign Language throughout the world. TEFL TESOL South Korea accredited and internationally-recognized TEFL certification teacher training enables its graduates to confidently and successfully step into the classroom and teach English as a foreign language anywhere in the world. When you register for our 125 Hours Online-Onsite Combo TEFL Course the 100 Hours Advanced TEFL Course is included at no extra charge. This is a savings of $500 USD for you. The adventure and challenge of teaching students English in a part of the world where you can explore national parks, ancient communities and golden temples will help you to share and absorb another culture that very few people have the opportunity to enter. 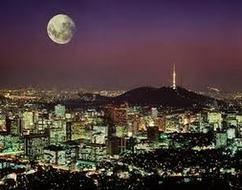 TEFL South Korea graduates are teaching across Asia, Europe, the Americas, Africa and the Middle East. 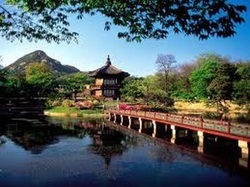 TEFL South Korea is with you from start to finish. We will help you get the visa that is right for you. While you complete your TEFL course we will provide guidance and help you find the job that is right for you. From advice about working and living in the country of your choice, to contract negotiations we will work with you to ensure that you find the job that meets your living and working requirements.